There are many storage facilities in Dubai. But before you select any one of them it is necessary to know how safe they are? Many people have the assumption that such companies are not reliable. This could be true but not for all the companies. You must know which the best Dubai Storage Company is. The Box is one of the most reliable companies in Dubai. They provide their customers with excellent storage solutions in Dubai. They are well equipped with technologically advanced facilities. The Box is situated at convenient locations and provides you with parking spaces. People don’t have to worry about their valuables as closely monitored 24-hour CCTV surveillance is available. To fight with fire explosions, storage house is prepared with fire detectors and sprinklers. The storages area is prepared with climate controlled air conditioners. 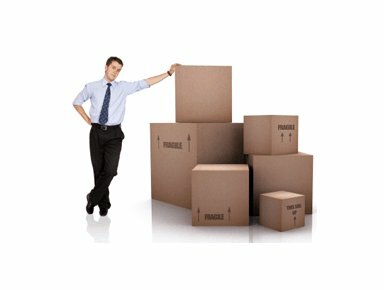 Along with storage facilities The Box is also one of the best Dubai moving services. The Box provides third party insurance to all its storage solutions in Dubai, which is an open option to customers. Very few Dubai movers provide this peculiar and important option. Thus The Box is one of the most trustworthy self storage in Dubai. Customers feel relieved from the worries of their belonging after giving them under Box’s supervision. All types of things are properly maintained at The Box. You can access your storage facility at the Box any time you want. You can also buy various storage related units and packaging materials of various sizes at The Box. Along with that you can also purchase many value added services.